Same procedure as last year, Ms. Sophie. 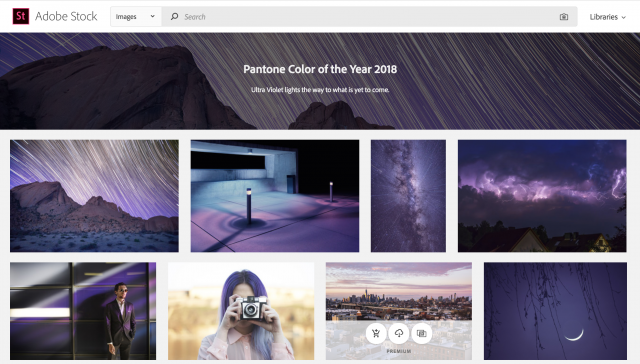 Media reports the presentation of Pantone’s color of the year of 2018. Again, this is not much more than a free advertisement, with the practical use remaining uncertain. Pantone has been around since the middle of the last century. Their primary business is the development of print colors, and selling the respective color palettes, color charts, and other tools. The company does not produce ink itself. This is left for the ink producers, who mix the colors using recipes from the color charts. Why should I work with special colors, like the ones of Pantone, if I can define every color via CMYK, the so-called process colors, is what you might ask yourself. The answer is only simple if we take a look at printmaking. 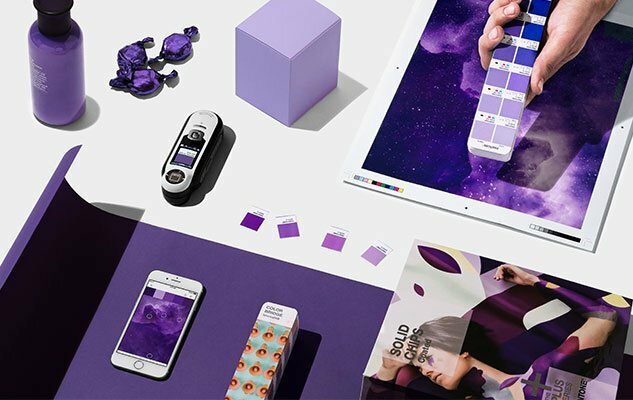 Let’s assume you wanted to use a color similar to the current Pantone color of the year 2018, which is a light purple, in a print project. In that case, the CMYK value would look somewhat like this: C72 M82 Y0 K0. This means that the printer would have to add cyan and magenta to his machine. Looking at the prices, this gives you a two-color print, as the print passes through the device twice. If you were to choose the Pantone color 18-3838 ultraviolet, it would be a one color print, which makes a big difference regarding prices. The function of Pantone as a communication system is significant as well. In contrast to CMYK, Pantone (and HKS) makes sure that the desired color is printed to look exactly like the selected color. This allows for precise communication of specific colors between project members. An 18-3838 in Europe looks just like an 18-3838 in the USA. To assure that, Pantone does not define the colors independently from the medium. Thus, there are different color charts and letter additions to the individual colors. A C after the color number means that the described color will look as depicted on coated media only. Apart from that, Pantone also distinguishes between U (uncoated), and M (matte). In contrast to the four process colors of the CMYK system, the Pantone system differentiates more than 1,700 colors, made up from the mixture of 18 primary colors. This results in a considerable amount of required charts, and other color helper tools, which is how Pantone survives. Now that we know that, it is easy to tell what Pantone’s best way of keeping their business alive is. Exactly, it has to continue developing new colors and creating demand for these. If there’s demand for new colors, the creative branch needs new charts and other tools to use them. Just look at Pantone’s prices, and you’ll realize that this is a lucrative business. 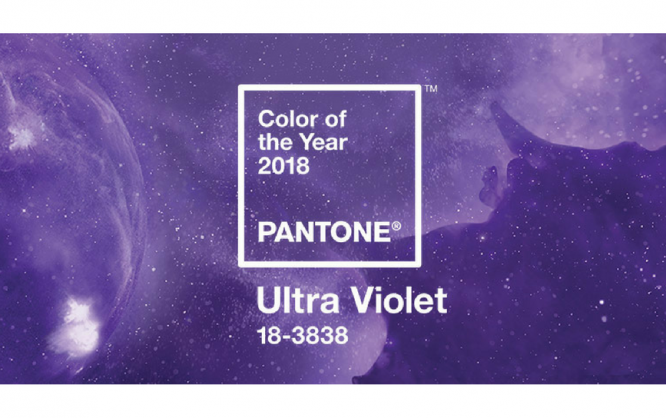 The charts for the color of the year 2018 alone will cost customers 180 Euro. At Pantone, there is nothing available for less than 100 Euro. It’s no surprise that used Pantone tools are a flourishing market on eBay. The business is not only known amongst graphic designers. Pantone can also be found in the world of fashion, architecture, the packaging industry, and anywhere else where printing is needed. By the way, the color of the year is a somewhat new marketing gag of the USA-based color experts. Only in the year 2000, half a century after the business inception, they got the idea to present a color of the year to the world. As humans are like sheep, and Pantone is an established brand, this approach paid off right away. Since then, the Pantone system has grown significantly. In my opinion, the purpose of the color of the year is solely that of keeping up the dominance of the Pantone system. Essentially, the declaration is nothing more than a different kind of advertisement, which works exceptionally well, looking at this year’s reports on it. The stubborn intellectuality in this presentation of something dead simple like a color is supposed to turn a color chart developer into some savior for an entire species. While this might be a legitimate approach on behalf of Pantone, I am astonished that this is still widely accepted without any further reflection. Clap, clap, clap. You read my mind sir. I’ve been thinking the exact same thing ever since I first saw Pantone’s Color of the Year. You are here: Home / What’s the Deal With Pantone’s Color of the Year?